The Precious Rose Gift Set"
Harmonising Rose Nurturing Body Oil. 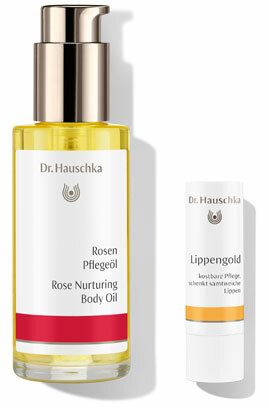 A classic among the Dr. Hauschka skin care oils, this nourishing body oil leaves skin smooth and hydrated. With its precious scent of rose, the oil provides strength and allows us to flourish. A Lip Care Stick. A valuable companion with rose wax and beeswax, for silky soft lips all through the day. Whoever first described the rose as paradoxical in nature was certainly correct: the rose is strong but soft, equipped with thorns but delicate, and has a sweet but spicy fragrance. Yet it is still a symbol of harmony. The rose’s strength lies in its ability to combine these conflicting characteristics into one harmonious aesthetic. And it can impart this strength to people. 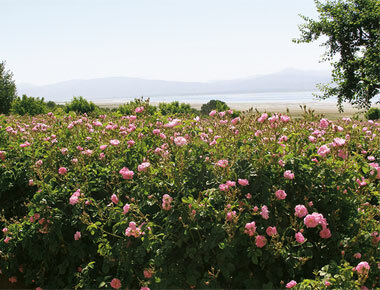 Up to four tonnes of rose petals are needed to produce one kilogramme of essential rose oil. We obtain this precious liquid from our independent partners in countries like Ethiopia, Bulgaria and Iran. 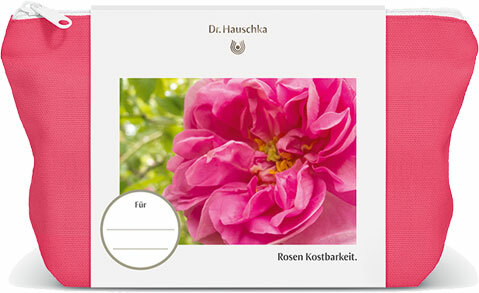 To ensure the high quality of this raw material, Dr. Hauschka is committed to socially and ecologically oriented partnerships with cultivators around the world. 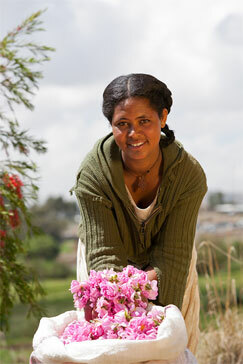 Our support creates new jobs and better living conditions at the source of the product. In Afghanistan, for example, cultivating roses offers locals an alternative to growing opium poppies. With its high-quality rose products, the ‘Precious Rose’ skin care set is an inspiring gift idea for Mother’s Day, providing the women we cherish with extra special care.